It’s a white colored Dakshinavarti shankh (conch shell). Dakshinavarti shanks are shankhs that that open towards the right hand. It is believed that this type of shankh represents wealth and prosperity. These types of shakhas are found in deep seas and are very rare. 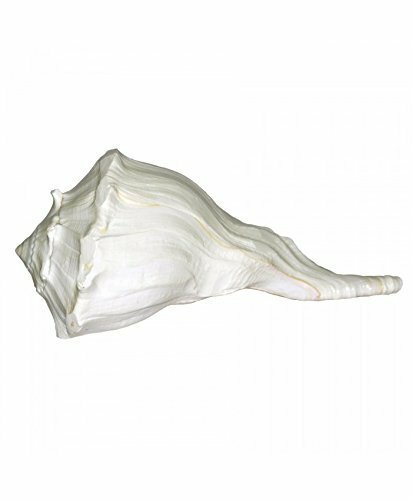 Dakshinavarti shankha is considered very auspicious when kept at any sacred place or the place of worship. This shankha is believed to bring good luck and prosperity. Also, it is known to remove all the negatives energies. This is a non-blowable shankh.Benefits : The Dakshinavarthi Laxmi Shankh attracts prosperity and abundance. The Dakshinavarthi Shankh helps creating a charismatic and magnetic atmosphere in the premises and brings prosperity,harmony ,luck and beneficial outcomes. Dakshinavarti Shankh wrapped in a red cloth is kept at homes and work places to attract good fortune and abundance.